How easy is it to remember the name of a festival when they name it after what you’d type if you went left to right on the keyboard. And no, it’s not the more Esperanto DVORAK. 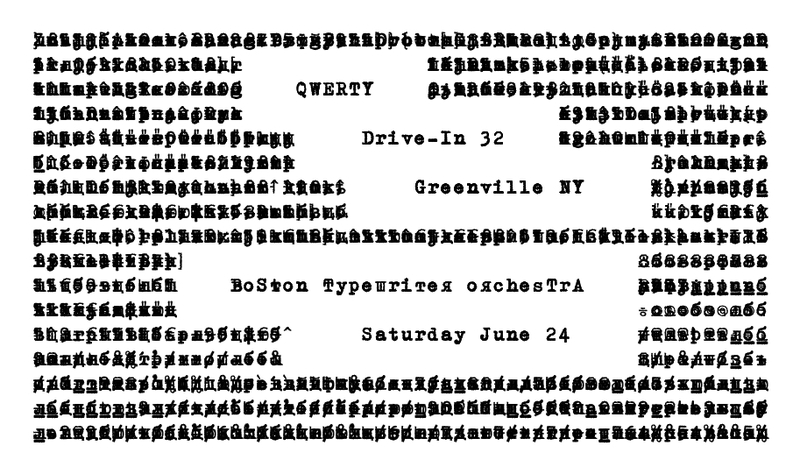 We mean QWERTY: The 2nd Annual Festival of Type and Letter Arts. It’s this weekend, so let this serve as our final reminder to you to get yourself to the north edge of the Catskills and come out to type in and then sit back and enjoy us and California Typewriter on the outdoor big screen. This entry was posted in Uncategorized on June 21, 2017 by Jeff B.